Table linens are one of the most important parts of an event that is often overlooked. Whether you are planning a huge sit-down meal or buffet-style dining, the right table linens can give your food the most amazing backdrop, setting the tone for your soiree. With polyester heavy-duty table cloths and high-quality napkins available in complementary shades, you can set the theme of your event with ease. In a large room with lots of tables, the linens you choose will make a huge impact, so selecting the right ones is important. 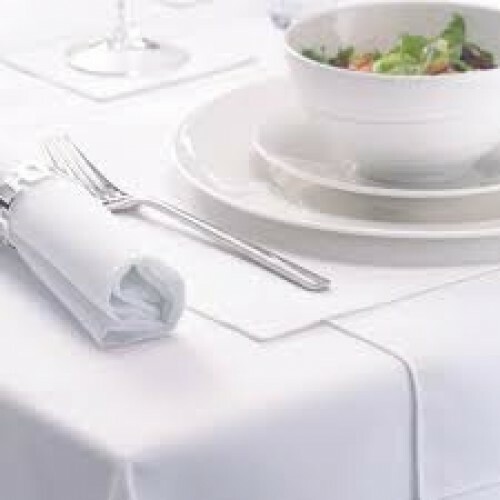 We are the manufacturers of table linens in various sizes and widths. Most wedding planners like the sleek simplicity of black or white linens, which can then be enhanced with flowers in the chosen colour theme, but we also offer popular shades of red and gold for those that like to think outside the box. For an even more impressive finish, decorate with our striking table skirts and swags, or light up the scene with our LED lighting. Mix and match or keep it simple – either way, our competitively priced bulk-buy linens are extremely durable and easily maintained by machine washing and tumble-drying, so that they can be used again and again by busy event organizers. 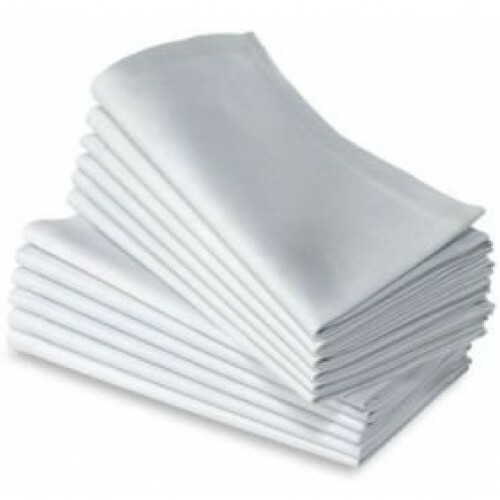 The quality polyester material is finished with a neat hemmed edge and resists creasing and wrinkles, so that the linens can be folded directly after cleaning in preparation for the next event. They are perfect for regular use, as the durable and flexible nature of the fabric means that it isn’t susceptible to the wear and tear that comes from intensive handling. As respected and reliable wholesalers, we pride ourselves on a fast and efficient service, offering next day delivery on orders placed before 1pm Monday to Thursday. The design possibilities with our table linens are endless, giving you an extravagant look that belies the excellent wholesale prices.